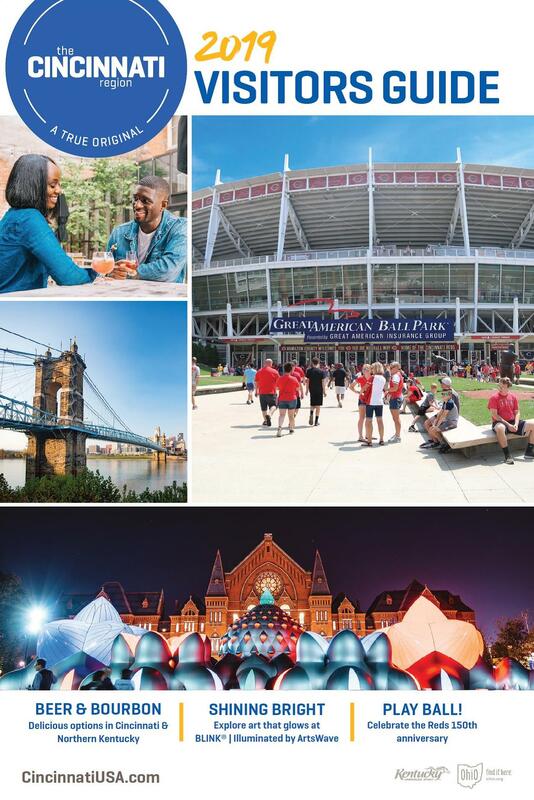 Order your copy of the 2019 Official Visitors Guide and start planning a memorable getaway to the Cincinnati region. Guide will be delivered within two weeks. Guides are mailed for FREE within the U.S. and Canada only. View the Official Visitors Guide online now. If you're seeking multiple brochures for a group event, please complete the bulk order form. Guide will be delivered within two weeks.